I play fiddle and sing traditional songs, unaccompanied or with guitar or ukulele. I play in Irish sessions, perform at local open mics, and have performed at the Northwest Folklife Festival and other venues in Seattle. 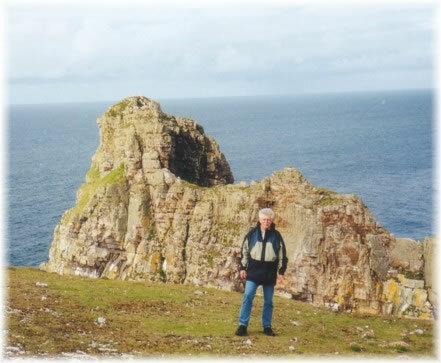 Here (right) I am on the east end of Tory Island, off the Northwest coast of Co. Donegal, Ireland in May, 2001.
at Carleton College, Northfield, MN, Feb. 7, 1972. My musical education began with piano lessons at age 7 and classical violin at 8. During high school I gave up violin, bought my first guitar and began to sing. I studied voice (with Jean Pilon) at Pomona College and (with James Bailey) at the University of Illinois while majoring in Chemistry. I taught Chemistry at St. Olaf College (Minnesota) for 28 years and was active in the Northfield Arts Guild, singing lead roles in summer musicals and opera workshops. I moved to Seattle in 1996 as research professor at the University of Washington, and picked up the violin again to become a fiddler. I later retired to begin a new career as an unemployed folk musician (something I can now afford!). 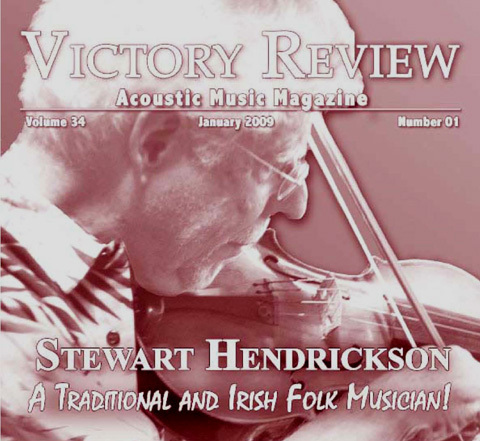 With Victory Music I helped set up open mics and an acoustic music venue in north Seattle, and wrote a monthly column, "Musical Traditions," for the Victory Review. I produced a concert series for the Haller Lake Arts Council from 2006-2011. In 2007 I helped revive the Pacific Northwest Folklore Society and am its co-director. I have produced CDs: “Paddy Graber – The Craic Was Great” (2004), songs by an Irish traditional singer and story teller from Vancouver, B.C. 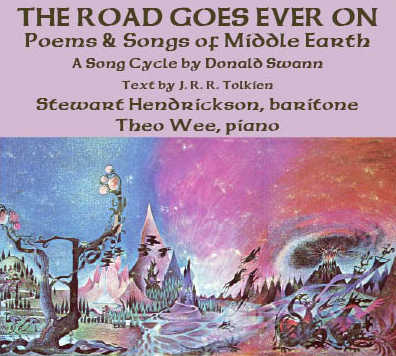 ; “Songs of the Pacific Northwest” (2005), original and traditional songs of the Pacific Northwest sung by various regional musicians; and my own CD, "Erin's Green Shore" (2007).